This is a wonderful time of year for locavores. The farmers’ markets are loaded with tomatoes, green beans and Brussels sprouts… kale, fennel and leeks… carrots, parsnips and rhubarb… turnips, pumpkins and squashes… though some of them like tomatoes and green beans will disappear pretty soon. They are all looking so fresh and lovely! 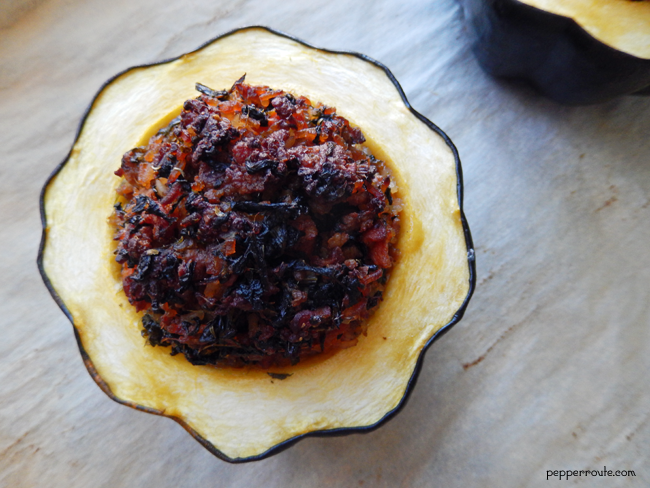 Especially the winter squashes… they are new in the season and are at the height of their glory. I had walked to the local market to pick up some long beans, mini/baby radishes and sweet peppers for a sinigang, a Filipino stew. 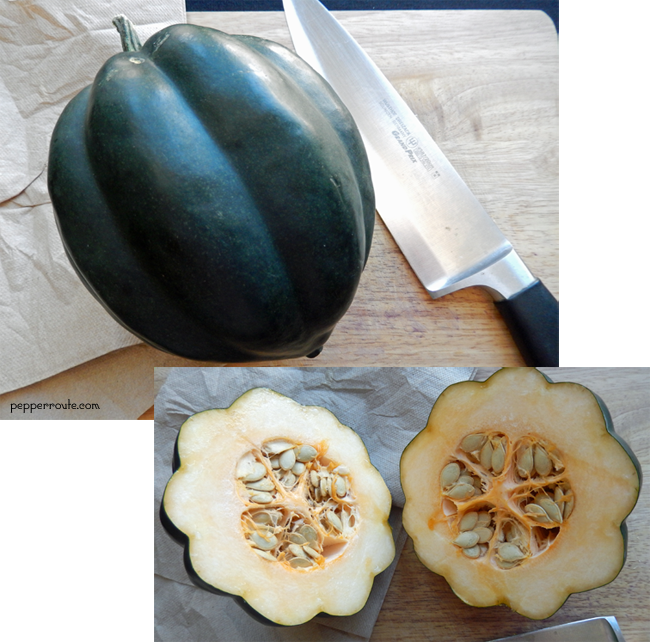 But I couldn’t leave without a beautiful acorn squash perfectly shaped and a deep green in colour. Acorn squash is a member of the squash family, belonging to the botanical genus Cucurbita, meaning ‘gourd’ in Latin. The squashes have their origin in the Andean valleys and Central America. They were growing in those areas when the Europeans first conquered them. These squash varieties were carried to Europe after the discovery of ‘the new world’ and subsequently spread across the world. Cultivation of the squashes as a plant species started over 5,000–6,500 years ago. It was domesticated before maize or beans, the three staples of Latin American agriculture. 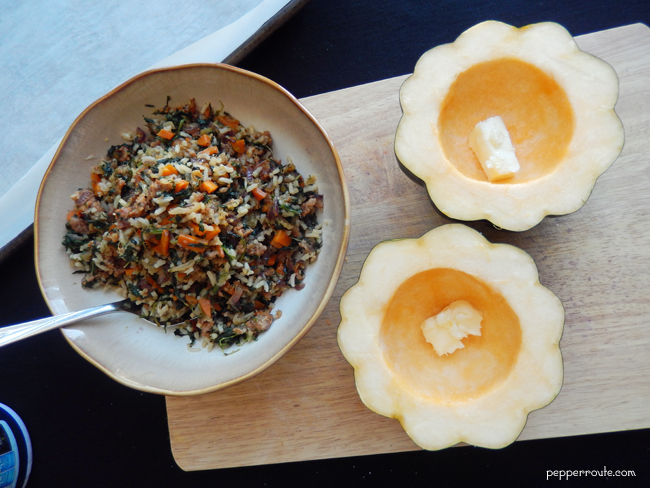 Squashes come in two varieties… summer and winter squash. The summer squash are smaller, thin-skinned and are eaten before they are fully ripened. Zucchini, pattypan, and crookneck squashes belong to this category. The winter squash grow late in the season and are harvested close to the frost setting in. They have hard rinds and keep for a long time, making them a reliable food source during the cold winter months. Acorn, spaghetti, and butternut squashes are of the winter squash variety. The word ‘squash’ comes from the native American word ‘askutasquash’ in the Narragansett language, meaning ‘green thing eaten raw or uncooked’. 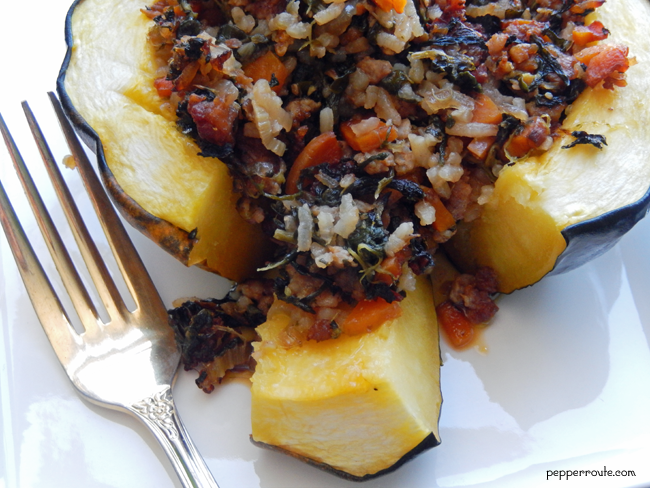 Contrary to the origin of the name, squashes are invariably cooked in modern times. The squashes are a good source of vitamin A, vitamin C, dietary fiber, niacin, folic acid, and iron. 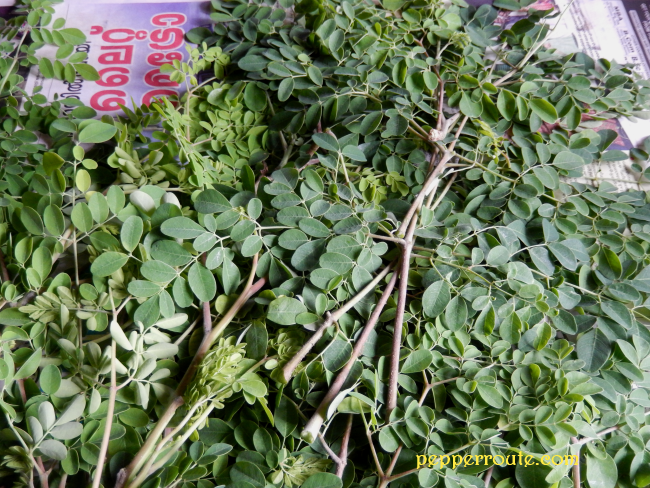 They do not contain any fat and cholesterol, thus making them an ideal addition to any diet. The early settlers depended a lot on squashes to sustain them during the cold hard winters in America. The acorn squash got its name due to its acorn-like shape. It is also called pepper squash or Des Moines squash; don’t know why. Though the original acorn squash is a deep green in colour, new varieties are available in golden and white colours. Preparing the stuffing is quite easy, just like any other. Acorn squashes generally small in size and that makes them the best for baking. A great selection of fillings can be used to stuff it before baking. 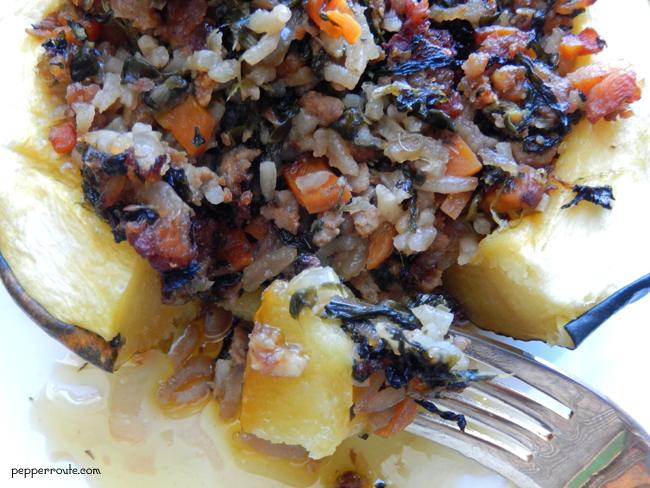 In this instance, I have used spinach, carrots, cooked rice, and sausage meat as the filling for the squash. To add to the tastiness of the squash, rub the insides and cut edge of the squash with salt. Also, drop small pieces of butter inside the squash halves before filling them. This will keep the stuffing moist. Be careful to fill the squash lightly, without pushing down. Using a spoon, you can pile up the stuffing, again without pressing it down. And use aluminum foil to loosely cover the squashes till the last 10 minutes of the baking. This will prevent the stuffing drying out in the baking process. 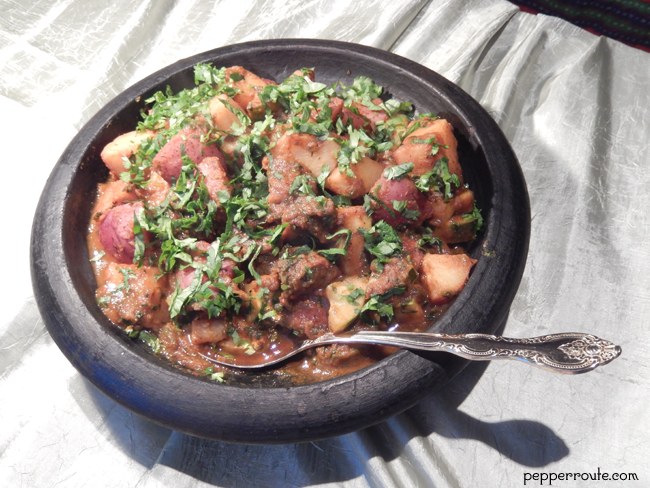 Vegetarians can easily replace the sausage meat with cubed-small potatoes or any kind of beans. And it was so delicious, the flesh of the squash just melting in the mouth. 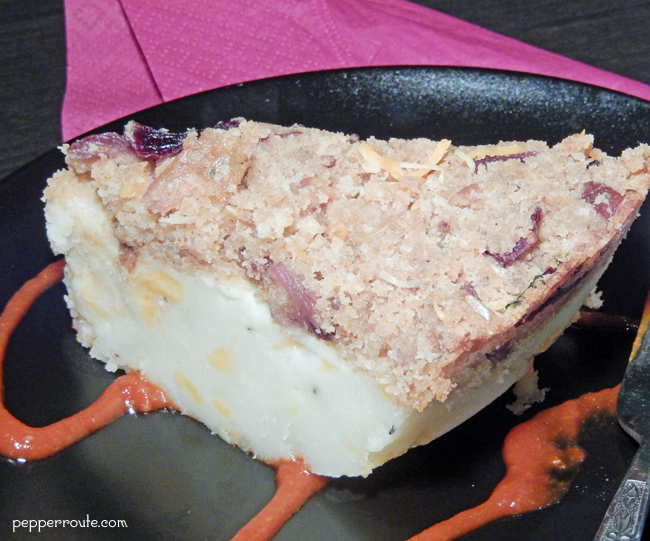 One of the best things about it is that it freezes very well, heating up well in the oven. Chop the onion, celery ribs and carrots into small pieces and keep aside. In a large pan, heat one tablespoon of the olive oil. 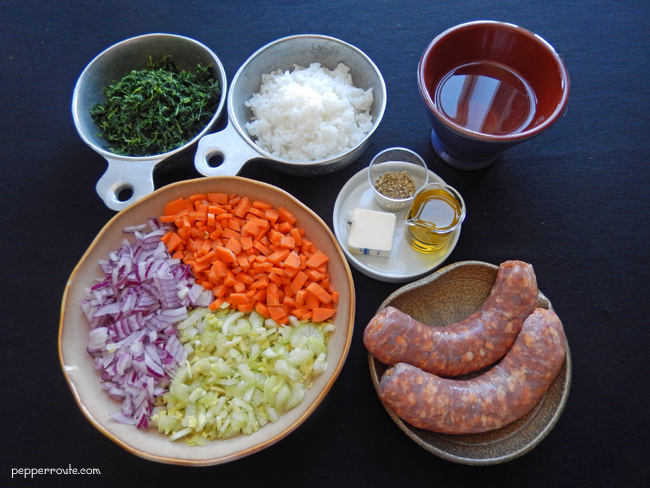 Remove the casing from the sausage links and crumble into the hot oil. Cook over medium heat, stirring continuously, till the meat is dry. Drain the meat and keep aside. Add the remaining one tablespoon of olive oil to the pan. 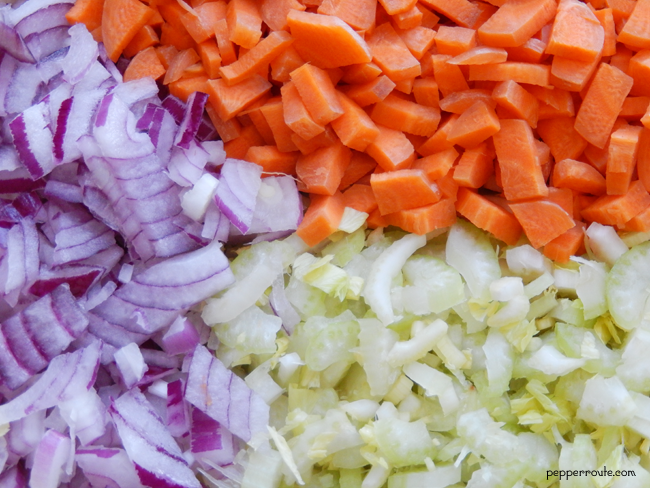 Add the chopped onion, celery and carrots and cook over medium heat, till they start to turn brown around the edges. Add the wine and keep stirring for 2 to 3 minutes to evaporate the alcohol content. 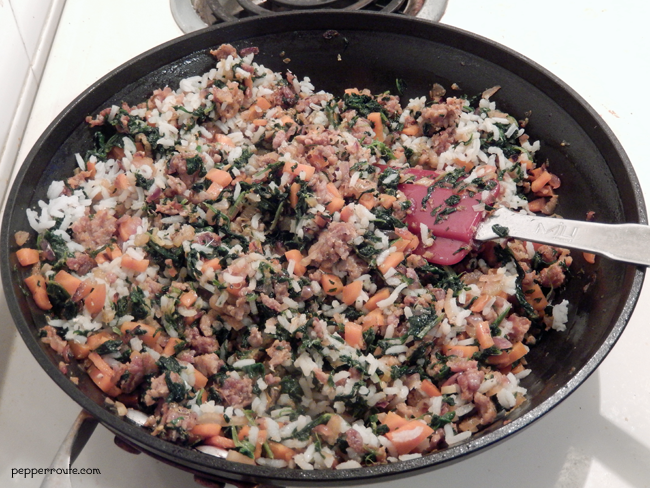 Add the sausage meat, cooked rice and spinach. Stir to mix thoroughly. Add the oregano and salt and black pepper to taste. Remove from the heat when fully dry and heated through. 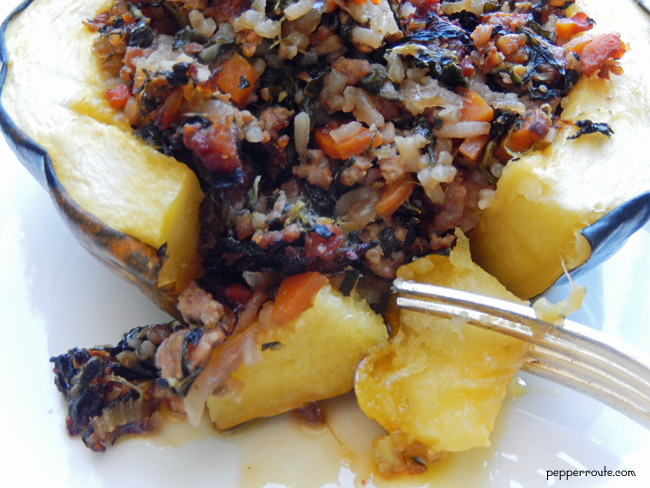 Cut the acorn squash into two and remove the seeds and roughage from the inside. Cut small pieces off the ends to make the halves sit well. Rub salt inside the squash halves along the cut edges. Cut the butter into two pieces and drop into the squash halves. 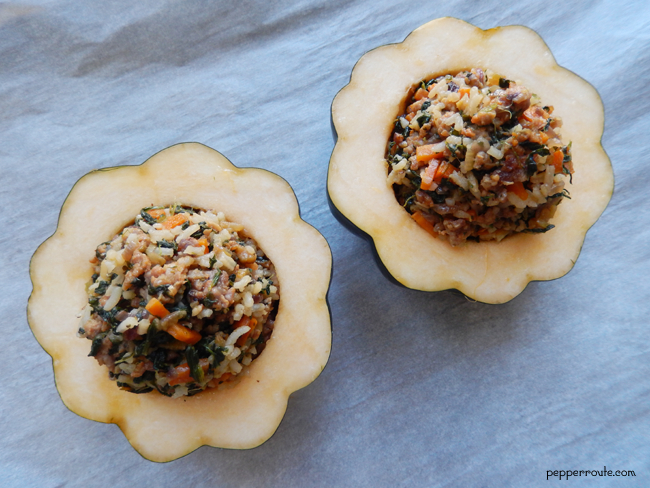 Fill the squash halves with the stuffing till heaped full, without pressing down. Fashion a loose tent over the squash, using aluminum foil. Place the filled, tented squash halves on a baking tray lined with parchment. Place in the oven and bake for an hour. 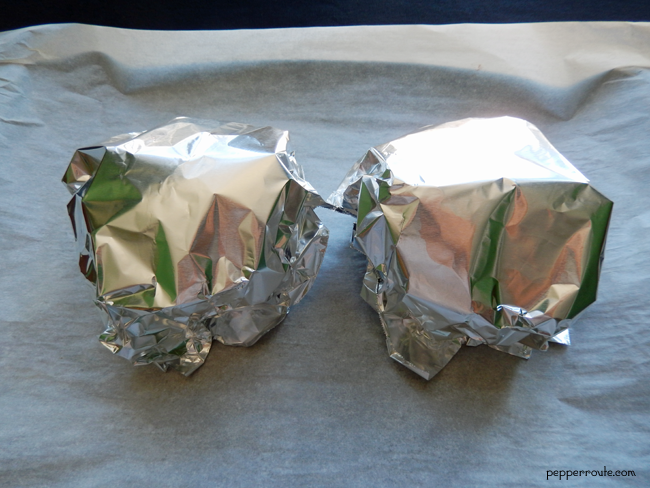 Ten minutes before the hour is up, remove the aluminum foil and continue baking. When ready, remove from the oven and serve hot. 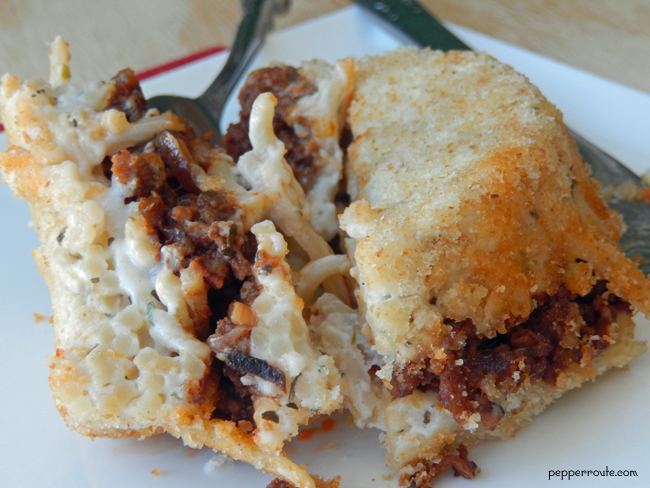 I am so making this!!! I am salivating as I read. I cook a lot with squashes of all kinds but seldom bake any. 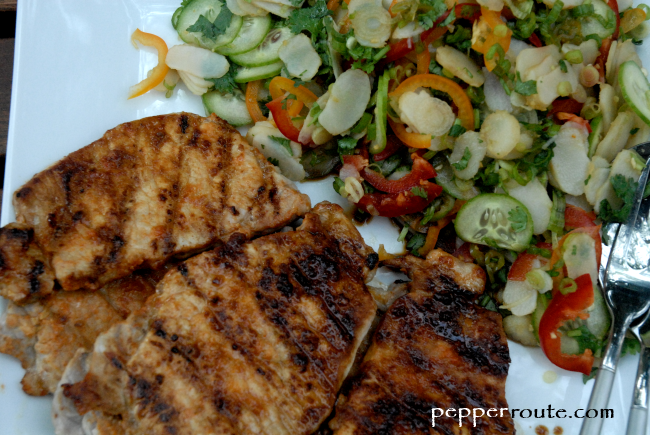 Thank you forr a great new recipe.